SBM (Shanghai Shibang Machinery Co., Ltd.) will attend TheThe ConTECH Vietnam 2017 , It is a great pleasure to invite you to visit our booth there. SBM (Shanghai Shibang Machinery Co., Ltd.) will attend The 20th BUILD EXPO Africa 2017 , It is a great pleasure to invite you to visit our booth there. SBM (Shibang Industry & Technology Group Co., Ltd.) will attend The 121th Canton Fair 2017 , It is a great pleasure to invite you to visit our booth there. SBM (Shanghai Shibang Machinery Co., Ltd.) will attend The Big 5 Saudi 2017 , It is a great pleasure to invite you to visit our booth there. 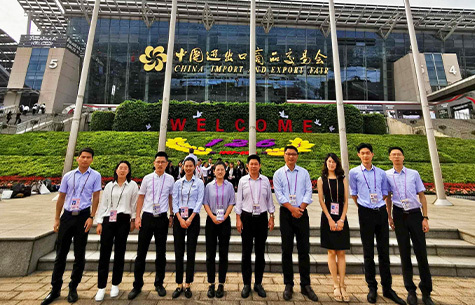 On November 22, bauma China 2016—China International Construction Machinery and Equipment Expo held a grand opening ceremony in Shanghai New International Expo Center .